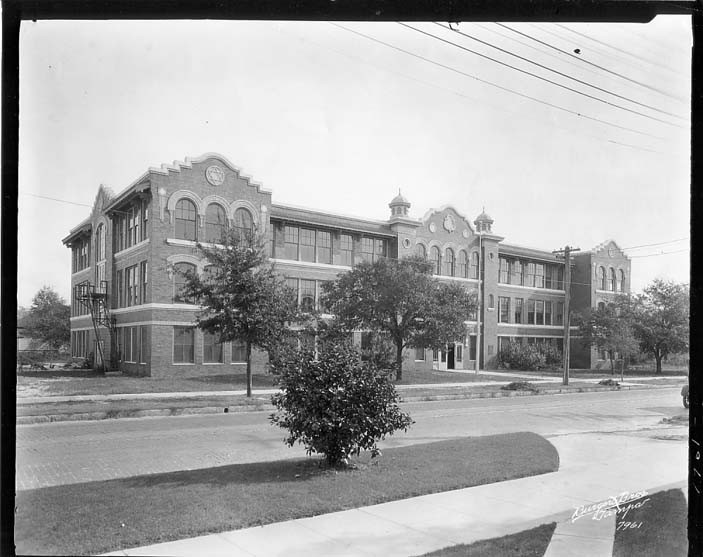 Woodrow Wilson Middle School opened in in 1915 as one of the first junior high schools in the United States. The brick building in the Classical Revival style has been in original usage since opening. Recently, the building was rehabilitated, restoring many original architectural features. The opening of the school for grades seven through nine was not only a major event for Tampa, it also had significance on the national level. Prior to the advent of junior high schools, students typically attended grades one through eight at an elementary school and went on to high school starting with the ninth grade.